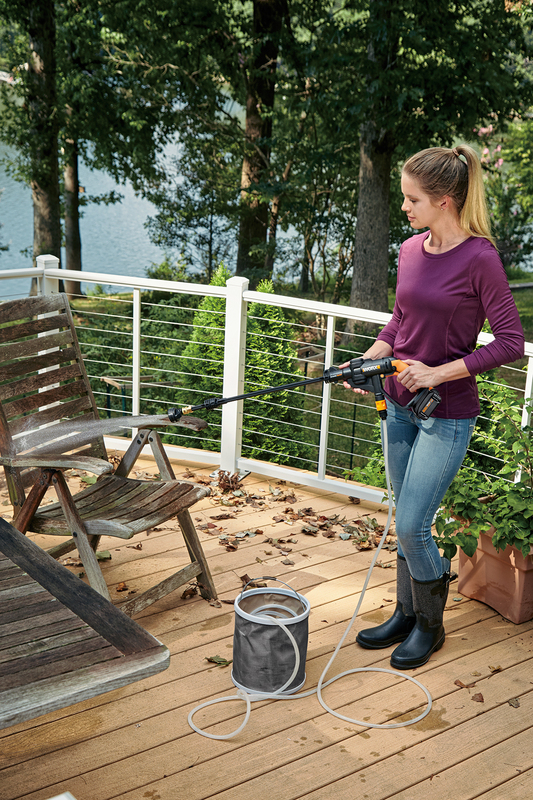 The popular WORX® Hydroshot™ Portable Power Cleaner has doubled its battery capacity this spring with a new model powered by a 40V MAX battery. The 40V battery increases Hydroshot’s run time and performance capabilities to tackle watering projects around the home, dock, poolside and other fresh water access areas. “Unlike conventional pressure washers, we saw a need for a light duty portable power cleaner that was safe to use and could effectively tackle jobs at home, or in remote areas,” said WORX Product Manager, Brandon Martin. 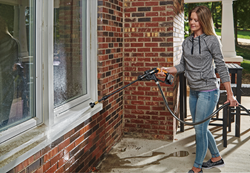 Hydroshot is a versatile, portable, power cleaner that connects to fresh water sources through a standard garden hose or its 20-ft. accessory hose with intake (included). The intake draws water from lakes, rivers, pools or buckets. It includes an adjustable float, like a bobber, to keep it from touching bottom. Hydroshot also connects to most 2-liter bottles with a 1 in. opening through an optional Bottle Cap Connector accessory (WA4038, $6.99). 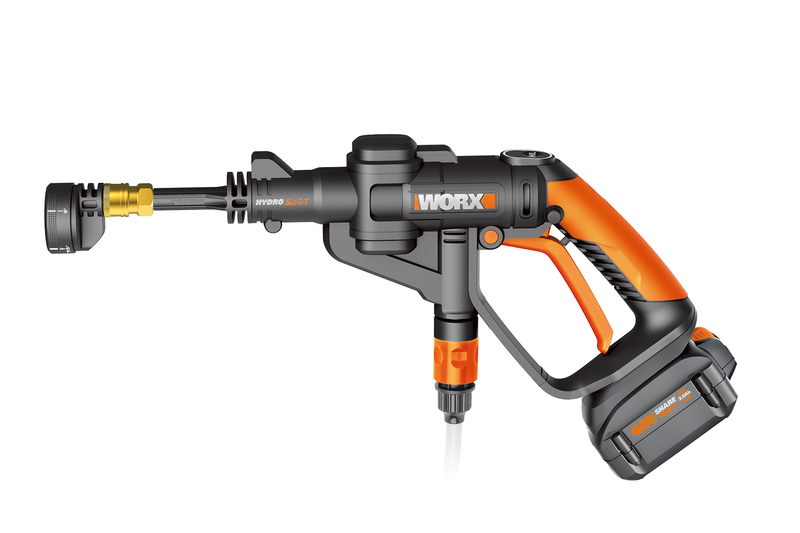 WORX Hydroshot produces more than five times the water pressure from a garden hose, based on a 60 psi rating. 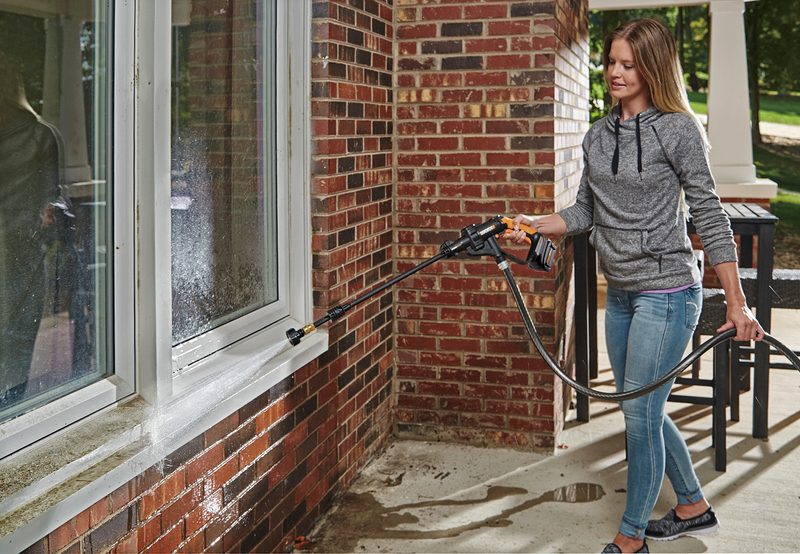 At 335 max psi, the 40V Hydroshot is ideal for washing the car, truck or SUV; hosing down the deck or patio and washing windows. Yet, it’s gentle enough to water flowers and vegetable gardens. The pump-driven, dual-system control nozzle features two operating settings: watering and power cleaning. The nozzle’s two-speed trigger delivers water pressure ratings of 72 to 94 psi (watering) and 200 to 335 psi for power cleaning. Hydoshot’s built-in pump is a water miser. It only pumps 1/2 gallon of water-per-minute. Hydroshot is equipped with a five-pattern spray nozzle to adjust from 0º, 15º, 25º, 40º or shower settings. Choose gentle shower; and then rotate the head for targeted high-powered rinsing. Select the wider spray pattern to remove dirt from windows, clean campsite dishes and utensils or rinse a boat’s hull between normal wash cycles. WORX Hydroshot is powered by a 40V Max 2.0 Ah battery. This battery has an LED power gauge. By pressing the battery’s red keypad, it signals how many bars are left before it needs recharging. Run time varies based on the selected operating mode and speed. When the nozzle is in the low shower spray pattern, it can run up to 45 minutes. Hydroshot includes a short and long extension wand, 40V MAX, 2.0 Ah battery, 5-hour charger, 20-ft. hose accessory with intake, and mesh carrying bag. The powered water cleaner is covered by the WORX three-year warranty. The WORX 40V Hydroshot Portable Power Cleaner(WG640, $139.99) \ is available at worx.com and Walmart.